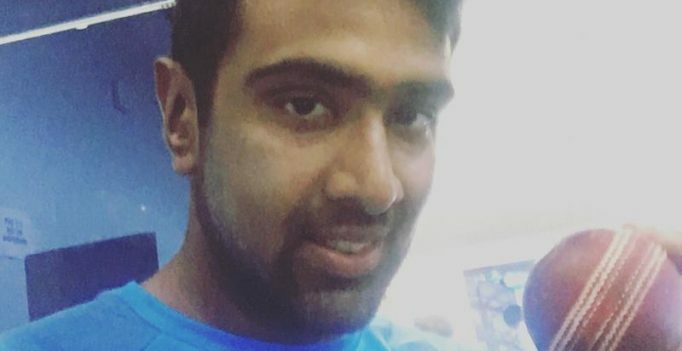 Hyderabad: Being fastest to 250 Test wickets is no mean achievement, so one can’t blame Ravichandran Ashwin for taking Bangladesh captain Mushfiqur Rahim’s autograph on the match ball with which he achieved the world record. Rahim was Ashwin’s 250th victim in his 45th Test match. Ashwin dismissed the opposition captain who tried playing a sweep and was caught down the leg-side by Wriddhiman Saha. “Yes, Ashwin came upto me with match ball and asked me to autograph it as I was his 250th victim. I heard that he has created a world record surpassing Dennis Lillee,” Rahim told PTI on the sidelines of the media conference. It’s not only Ashwin but former captain Mahendra Singh Dhoni is also a souvenir lover. Dhoni collects at least one match stump after every Indian victory. However since the time LED stumps in ODIs came into vogue, Dhoni has not been allowed to take them as they are too costly. The footage reveals a female kangaroo lying motionless by the side of the road before the man kneels down beside it and checks its pouch….